from a vendor, partner, or client? Let’s face it, in today’s digitally wired society there seems to be a serious lack of what passes for meaningful communication. But that gives you an advantage if you’re willing to stand out. And a real handwritten note is one of those little things that makes a big difference for a key client, business connection, colleague or even a dear friend. Have you ever wanted to form a stronger bond with a team member, partner, or even a client but just didn’t know how to do it? We’ve found that the greater the “human” component is in a relationship, the stronger the relationship becomes. 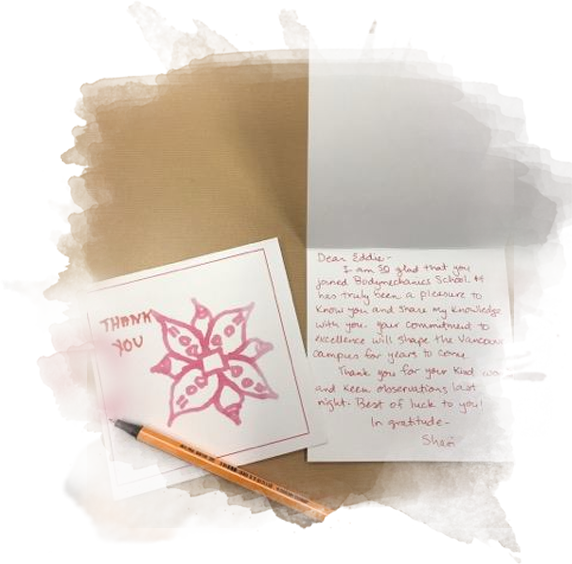 Now, it’s unrealistic to spend too much “facetime” with clients, team members, and partners during a busy work week… but delivering a handwritten and heartfelt appreciation note has the very same effect! Take the time to write out what you appreciate about someone else and then watch as a “gratitude domino effect” gets triggered… leading to more meaningful partnerships, better client acquisition and retention rates, and happier team members. Not to mention, the human eye is naturally drawn to handwritten letters over “typed” ones, so your personalized messages have the potential to really make an impression! Haiti is now the poorest country in the world. For several years a group of entrepreneurs and key leaders has been traveling to Haiti to help build self-sustaining villages and support orphanages around the country. 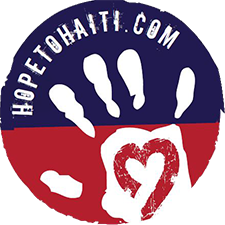 Our cause partner, Hope to Haiti, has a little known program that will take one orphan and move them into a foster care family. 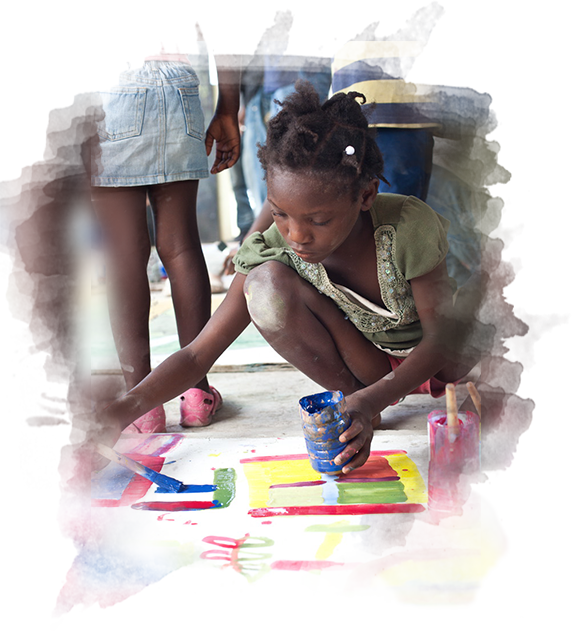 They are able to provide clothing, food & water, education and shelter for Haitian children in dire need. One warm summer night in Saint Marc, this entrepreneurial group put their hands together and made a pact that they wouldn’t rest until a self sustaining business was formed that could continue to support the rehabilitation of so many Orphans. The idea for 10 Cards of Hope was born that night. Haiti is known for its incredible artwork and creative spirit. Each month some of the country’s top artists come into the orphanages we work with and teach the children. Art is one of the most therapeutic ways to heal trauma, develop self-respect and build confidence. It’s a time everybody absolutely loves and looks forward to. 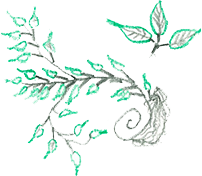 We select beautiful and inspiring artwork created by these children for your high quality gratitude card packages. Everybody wins, including the selected artist, because they’ll be awarded an educational scholarship for printing their art. 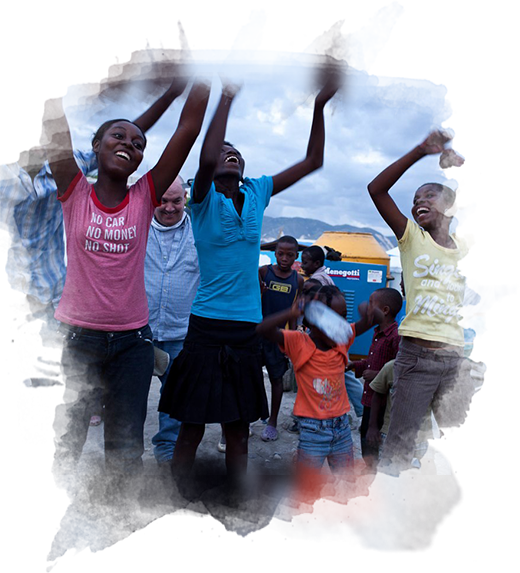 We believe that the spreading of hope in Haiti can be a magnification of the good you are already doing for your business. In fact, getting a monthly subscription of your cards inspires you to practice the lost art of handwritten notes for people that matter most to your business… and it actually feels great in the process…you’ll certainly feel even better because you know you’re saving a child’s life every 10 cards. But What if You Don't Know What to Write About? Rightly or wrongly, they make assumptions about your intelligence, your education, and your capabilities. But here’s a painless way to put an end to fumbling for the right words and phrases with this new quick and simple solution. If you’d like to move through the process a bit more quickly, we have a special bonus for the subscribers of the “Small Team Package” and “Enterprise Empowerment Package”. They both come with “Instant Thank You Letters”, a bonus kit that offers tons of thank you letter templates and suggestions. These “swipe” thank you letters can be used for anyone and everyone who you’d like to strengthen your relationship with, from clients to partners and even to family members. They are sure to give you plenty to work with to expand personal and professional connections. Though it may seem like a large amount of cards at first, once you get into the swing of things, you realize how good it feels to show appreciation to those important to you. It’s actually quite fun and cathartic to improve your relationships one card at a time. If you’re concerned you can’t personally write 10 thank you notes each month, you can easily divide them up among team members and co-workers too. This is perfect for offices. These cards can also be used as gifts for others who could use a little more “appreciation” in their lives. Just a simple ‘Thank you’ but done with style would knock their socks off. It can be long or short. Funny or deep. Who should get a card? Start with those who relationships close to your heart. Maybe it’s your most meaningful customers, or a business mentor of yours, or even a competitor in your industry who you have learned something from. If you write these cards with authenticity, heart, and appreciation, then they will surely strengthen bonds! Did you know that sharing even one gratitude card a week can lighten up your work environment and empower multiple team members. Having a professional stance on gratitude, where your company is known for appreciating one another, can significantly raise the “oxytocin” or “bonding” chemicals in the whole group, and it’s scientifically proven to relieve stress and improve brain function all at the same time! What better way to upgrade company culture than by making appreciation a team effort at the end of every month (or even every week!). Expressing that gratitude to others is one of the best things you can do for your own happiness too…and now you’ll feel even better because you know you’re having a significant impact: 1 orphan in Haiti to stay in a foster family each and every month through our cause partner, HopetoHaiti. It’s as low as $29.00/per month – that’s less than a fancy cup of coffee each day for something that can do so much good for so many. Who Deserves a Thank You Note From You Right Now?